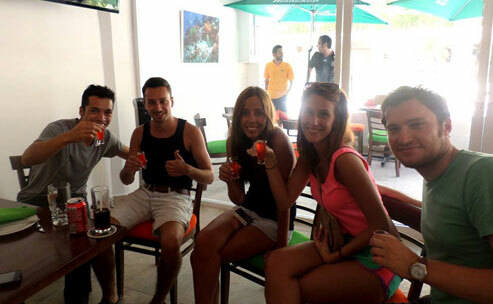 ﻿ Traveling in Playa del Carmen | Teach English in Mexico. 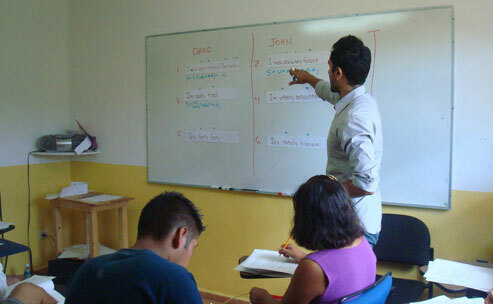 Most of the teaching jobs are in language schools, universities and hotels. Roughly speaking, you will obtain about $100-120 MX pesos an hour, but if you are on a full-time contract (rather than hourly-paid) it would be less (but more stable). *We give a session of the course on Professional Development and Finding a Job to prepare the students for the job market wherever they choose to teach. 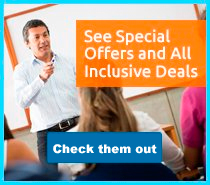 We also forward any request or notices for teachers that are sent to us from other places and can give advice on the course as necessary, but we do not have the resources for a full job placement service. 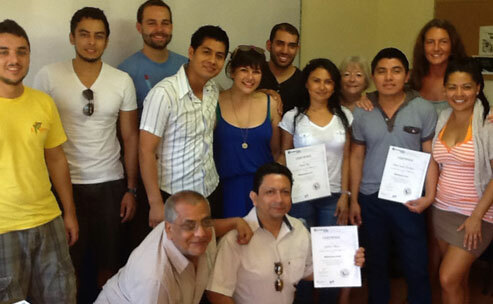 Actually, many of our CELTA students find a job a week after the course ends! There are direct flights from most major cities to Cancun International Airport which is just 60 km (40 miles) north of Playa del Carmen. 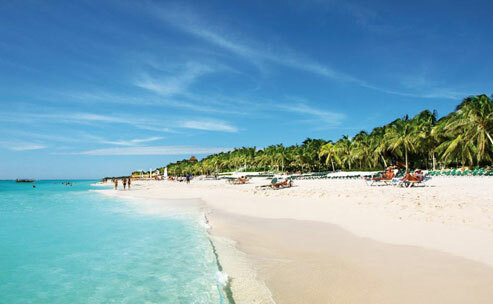 The journey from the airport to Playa del Carmen by taxi should take less than 1 hour and cost around $40 US ($65 US after 22.00 or before 08.00). Alternatively the school can arrange an airport meeting and transfer service on request. 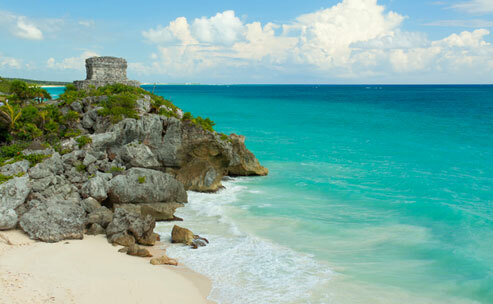 Upon entering Mexico you must have a passport valid for six months and a tourist visa. The visa is a form you'll get free of charge at any immigration office. If you arrive by plane, the airline will provide a copy for you. 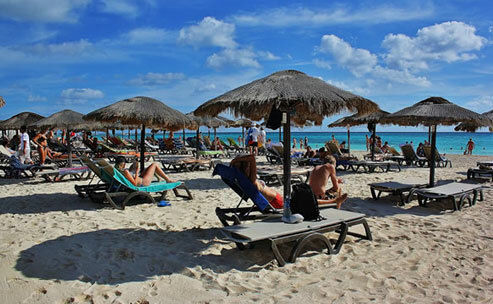 Upon arrival in Cancun airport the immigration officer will grant you a stay of usually 180 days. 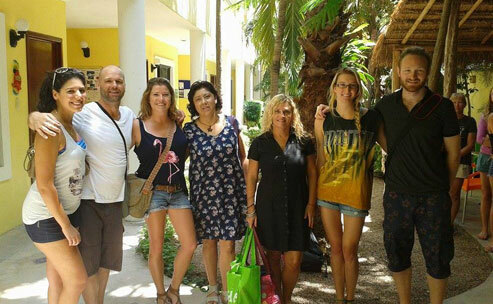 If you plan to stay longer you can extend the visa at the immigration office (Instituto Nacional de Migración, located in Plaza Antigua at the entrance to Playa del Carmen). The visa form will ask for personal data and your reason for travelling. Do not lose the stamped blue copy, as you'll need this to leave the country without major trouble. For business or student visas please contact the Mexican Embassy or Consulate in your home country. 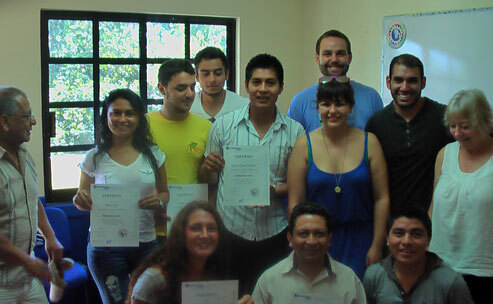 You do not need to get a student visa to do the CELTA. Mexico doesn't require its visitors to have any vaccinations. However, you are strongly recommended to check your countries health advice and especially your vaccination records for Tetanus, Typhoid and Hepatitis A. We also recommend that you have sufficient medical insurance to cover any eventuality during your stay. 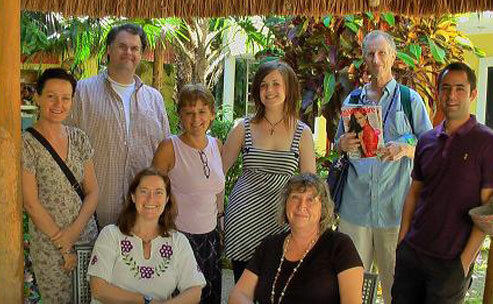 There are excellent hospitals in Cancun, and also some smaller facilities in Playa itself. The school can get you an English speaking doctor. Try to bring any medicine you need with you. Although not legal, it is possible to get prescription medicine at some pharmacies if you have a prescription from back home. The student residence provides bed linen and towels, which are changed regularly. It is a good idea to buy a beach towel, and more convenient (and cheaper) to buy one when you arrive. Pay as you go cell phones can be purchased relatively cheaply in Mexico. There are several internet cafes around the center, and many cafes and bars have Wi-Fi access. The mailing system is usually slow and unreliable. It is better to take your postcards home and deliver them in person! If you do need to mail anything, use a reputable courier company such as UPS or FedEx. Being a beach resort with a humid climate, dress wear is very casual out on the streets. While in the school, it is still relatively casual and we recommend bringing light clothes. 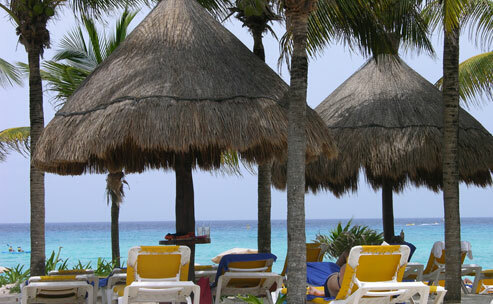 You should fly into Cancun International Airport, which is just a 45-minute drive north of Playa del Carmen. 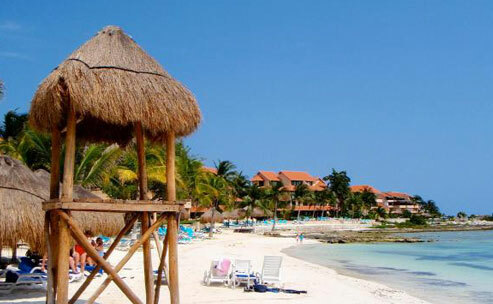 Flights also operate from Cozumel Island, but you'll then need to get the ferry over to Playa. We recommend that you arrive the day before your course starts so you have time to get settled before coming to school. If you request it with your reservation, we can arrange for private transportation from Cancun airport to your lodgings in Playa del Carmen. It costs $75 US dollars. For this, a representative with a personalized sign will greet you upon arrival. Alternatively, there is a bus service from the airport called ADO, which only costs $120 pesos. 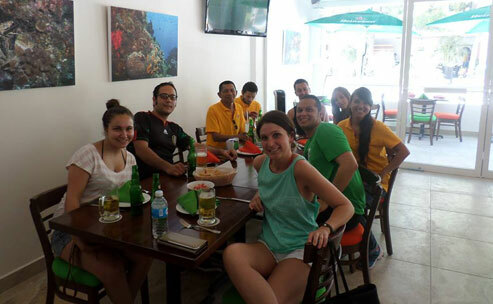 It runs throughout the day to Playa del Carmen, and will drop you off at the bus terminal on Av.5 and Av Juarez in town. From there you can walk or take a taxi locally. Small money exchange offices ("casa de cambio") are all over town. Their rates will be about 20 cents lower than the bank rate, and will be mostly the same from office to office, although it may be worth looking for a better deal. They usually handle all currencies and US Dollar travelers' checks. There's no commission and the service is much quicker than in any bank. Whenever you exchange travelers' checks, do not forget your passport! Some of those offices may not accept currencies other than those recognized almost internationally, such as US Dollars ($), Canadian Dollars ($CAN) Euros, or Pounds Sterling. Banks are open from 08:00/09:00 to 16:00/18:00. 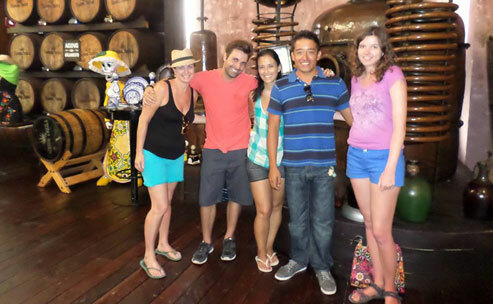 The "casas de cambio" are open until 20:00 or even 21:00. Whenever you need to pay for something, cash is your best choice, and whenever you can, pay in Mexican pesos. Most businesses will accept US dollars, but the exchange rate will be somewhere between lousy and a straightforward rip-off. Very few businesses will accept other foreign currencies such as the Euro. Credit cards are accepted by most hotels, almost all of the tour operators, some of the bigger shops, and some restaurants. You'll certainly need one if you want to rent a car. Visa and MasterCard are the most popular; American Express has been banned by a number of business owners. Whenever you plan to pay with your credit card, make sure you check the exchange rate. It might be better to walk to an exchange office and get some pesos. There are a number of cash machines in Playa del Carmen, all of which will give you pesos. You may use your credit card or your EC card. Usually there's a 200 US Dollar limit per day. Make sure you do not forget your PIN code. No bank in Playa will forward you cash on your card, not even with your passport. Do not use the free-standing ATMs on 5thAv - they will charge you a lot more than the regular bank ATMs. 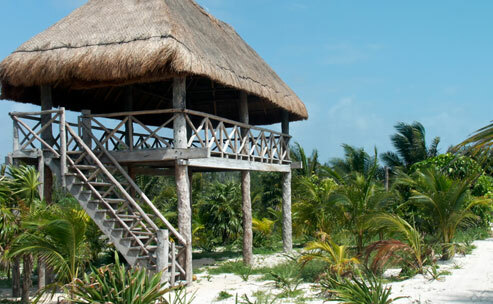 The state of Quintana Roo has a value-added tax of 10%, which by law must be included in the sales price. That doesn't always mean that it really is. 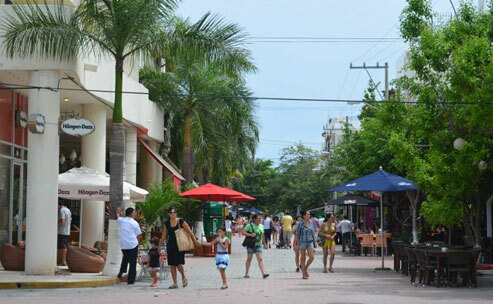 Most of the places you'll need to go in Playa are central and within walking distance of the school and the residence. Some of the many available taxis are strategically located on certain corners of Av. 5 and Av. 10. However, they are also safe even when hailed on the street. They charge $25 MXN ($30 MXN from a taxi stand, e.g. at a supermarket or cinema) flat rate within the main area of Playa, more if you go further out. If you are interested in renting one, please see us regarding rates. Biking around the city is easy and safe, and Av. 10 has a bicycle lane. Be sure to cycle in the same direction as automobile traffic, and never leave your bike unlocked or it may disappear. For short distances around the Riviera Maya, there are also "colectivos" which you can find on Av Juarez and Av 10, close to Terminal 1 bus station, or Calle 2 between Av 15 y 20. These are cheaper, pass more regularly and can be quicker to e.g. 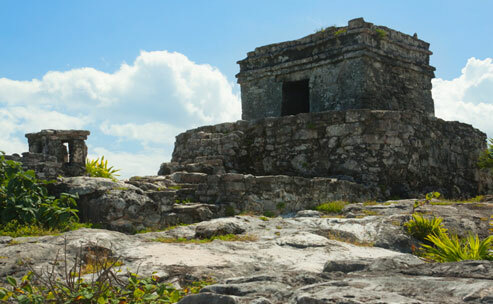 Cancun and Tulum, but make lots of stops and they are cramped and uncomfortable, you will also need some Spanish to negotiate your way on them. There are two bus stations in Playa del Carmen. Terminal 1 is in the center of town on the corner of 5th Avenue and Av. Juarez, right in the heart of Playa. Terminal 2 is on Av. 25 and Calle 12, very close to the Student Residence. Tickets are available at the counters. If you take a long ride, e.g. 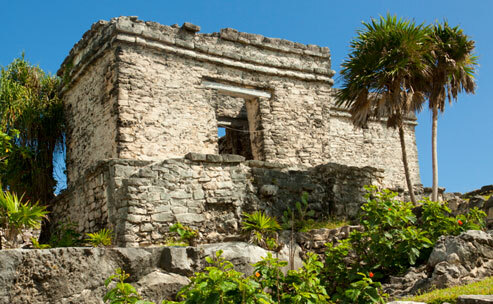 to Palenque, it's better to buy a ticket the day before. This way you'll be sure of a seat, and that you'll be sitting next to the person you're travelling with. Be sure to arrive at the station at least half an hour before the scheduled departure time to get a seat and (most important!) to check if your bus really is leaving from the station you are at. 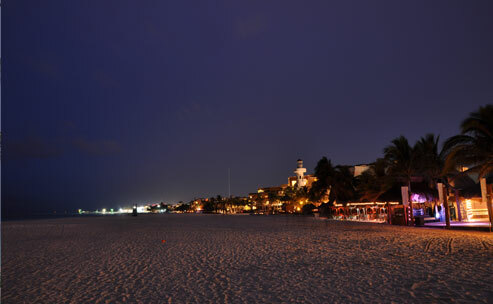 Playa is on Central Daylight Time and observes daylight saving time between April-October. 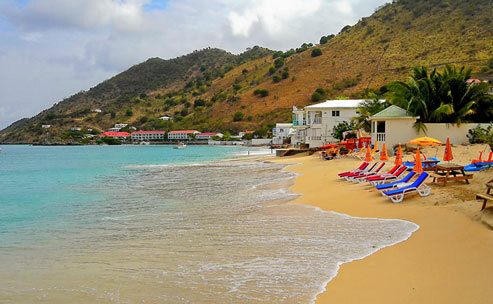 All year round you can expect sun and warm weather with an average temperature high of 30ºC or 86ºF. The highest temperatures are registered on May and September when temperatures can reach 32ºC, 90ºF. There are also two rainy seasons during October to January and April to July; however they can be a great refresher during the heat of the day. While Playa is generally a very safe place, you still need to take the same precautions that you would in any town at home. - DO NOT take valuables to the beach, including any type of important travel or identification documents; leave them at your accommodation in a safe. 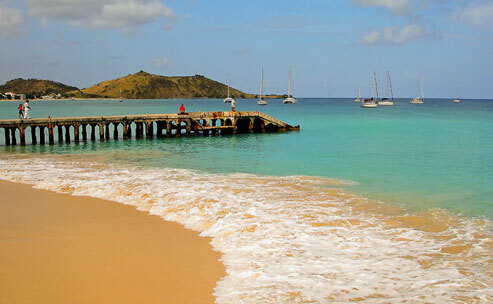 - When in very isolated areas or beaches, DO NOT leave your belongings unattended. Be careful of walking along on the beaches north of Canibal Royal. - BE CAREFUL who you choose to buy things from: make sure they are reputable prior to purchasing or accepting any invitations, specifically from vacation clubs or street vendors. - DO NOT take drugs, and be careful of your alcohol intake. It is not unknown for the drink of foreigners to be spiked. Don't leave your drink unattended, and don't accept drinks from strangers. - BE CAREFUL on what you choose to wear, try not to look to flashy or attract attention with expensive jewelry. - And last, but not least, if you have a serious problem with a civilian or a police man, please file an official complaint at the Public Security headquarters or ask how to set an appointment to speak to the Tourist Police. The Tourist Police have special kiosks at several locations around the center. Drink only bottled water, never from the faucet, although it is usually OK to brush your teeth with it. Dengue fever can be a problem during the rainy seasons so avoid being around standing or stagnant water.